This selection of the species, H. hypoleuca, is from Japan. 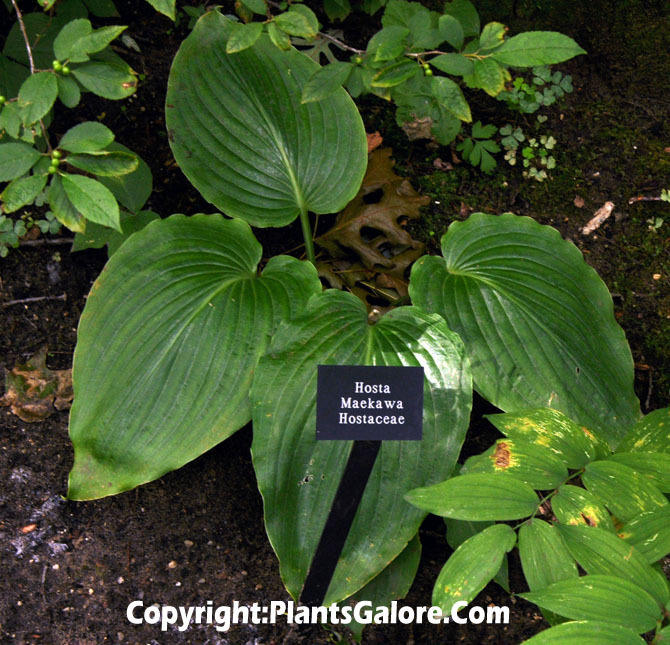 It was originated by Klehm Nursery of Illinois and registered on their behalf by Kevin Walek (Hosta Registrar) in 2009. 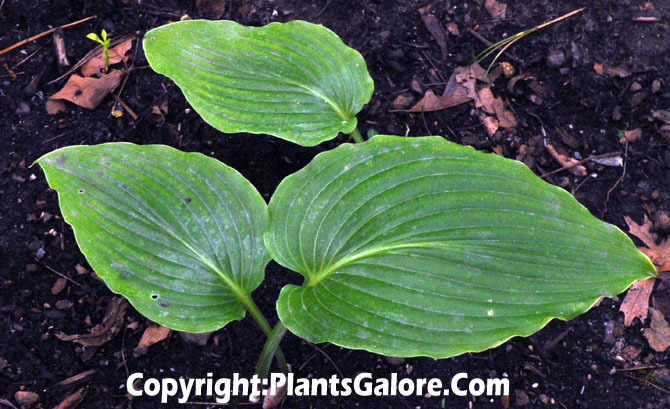 It grows into a medium size hosta about 17 inches in height with a spread of about 50 inches. 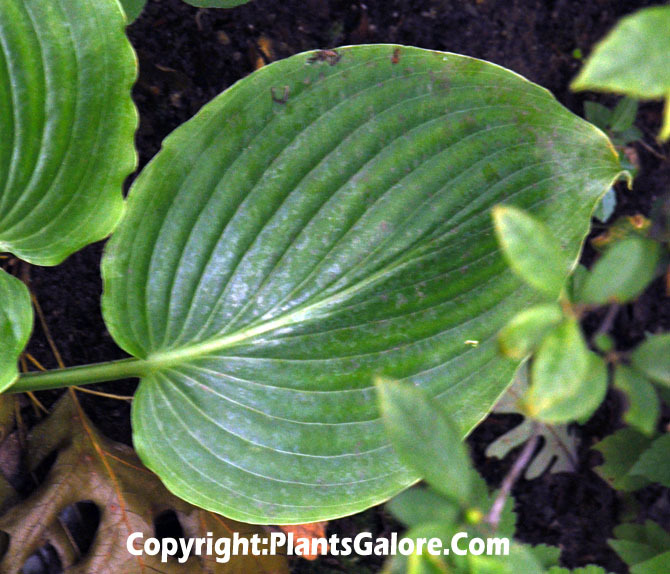 The leaves are broadly ovate with a deeply lobed base, dull on top and have a thin tip. Each has many tiny ripples along the margins and have thick substance. They are covered with a thick layer of bloom on the underside. From very late July into August, it bears narrow, funnel shaped, pale lavender flowers and sets viable seeds.